He’s been blackening the blank page for more than 50 years, and now Nicholas Delbanco joins The Virtual Memories Show to talk about writing, teaching, and sleepwalking through life! We get into his new essay collection, Curiouser and Curiouser, the importance of establishing a writing routine or habit, the process of revising a decades-old trilogy in light of his growth as a writer, the art of faking spontaneity on the page, the value of a good MFA program, his refutation of his friends’ belief that language is a finite resource and not a renewable one, his assessment that he’s a minor writer (or, even worse, “a writer’s writer”), and the place the deracinated consider home. Plus: I fall back into the trap of Acquisitive Alchemy! Give it a listen! 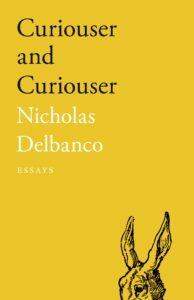 And go buy Curiouser and Curiouser: Essays ! Nicholas Delbanco is the recently retired Robert Frost Distinguished University Professor of English Language and Literature at the University of Michigan. He has published thirty books of fiction and non-fiction. His most recent novels are The Years , and The Count of Concord ; his most recent works of non-fiction Lastingness: The Art of Old Age and The Art of Youth: Crane, Carrington, Gershwin, and the Nature of First Acts . As editor he has compiled the work of, among others, John Gardner and Bernard Malamud. He was the long-term Director of the MFA Program as well as the Hopwood Awards Program at the University of Michigan, he has served as Chair of the Fiction Panel for the National Book Awards, received a Guggenheim Fellowship and, twice, a National Endowment for the Arts Writing Fellowship. His newest book is Curiouser and Curiouser: Essays . Credits: This episode’s music is Nothing’s Gonna Bring Me Down by David Baerwald, used with permission from the artist. The conversation was recorded at Mr. Delbanco’s apartment on a pair of Blue enCORE 200 Microphones feeding into a Zoom H5 digital recorder. I recorded the intro and outro on a Heil PR-40 Dynamic Studio Recording Microphone feeding into a Cloudlifter CL-1 and a Mackie Onyx Blackjack 2×2 USB Recording Interface . All processing and editing done in Adobe Audition CC . Photos of Mr. Delbanco by me. It’s on my instagram. In the ’90s, Sven Birkerts cautioned us about the impact of technology on reading with The Gutenberg Elegies . In 2017, we mute our iPhones to talk about his new book, Changing the Subject: Art and Attention in the Internet Age (Graywolf Press). We dive into the impact of digital technology on perception and identity, but also get into the way life becomes a thematic puzzle in middle age, why he stepped down from his role directing the low-residency MFA program at Bennington, the joy of bringing his favorite writers in as instructors (and the ones he regrets not getting), the challenge of interviewing fiction writers, his big literary 0-fer and what I’m missing about Virginia Woolf, how he’s adapting to a year-long sabbatical and how he understands his writing life, what he’s learned editing the literary magazine AGNI, and why the prerequisite for anything he’s reading is that it has to be more interesting to me than whatever it is he’s vaguely brooding about. Give it a listen! And go buy his new essay collection, Changing the Subject ! 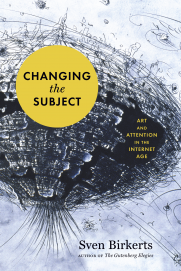 Sven Birkerts is the author of Changing the Subject: Art and Attention in the Internet Age and nine previous books, including The Other Walk: Essays , The Gutenberg Elegies , The Art of Time in Memoir: Then, Again , and My Sky Blue Trades: Growing Up Counter in a Contrary Time . He recently stepped down as director of the Bennington Writing Seminars, and he also edits the journal AGNI based at Boston University. He lives in Arlington, Massachusetts,, and he’s on Twitter as svenbirkerts and Instagram as cyberbirk. Credits: This episode’s music is Nothing’s Gonna Bring Me Down by David Baerwald, used with permission from the artist. The conversation was recorded at Mr. Birkerts’ home on a pair of Blue enCORE 200 Microphones feeding into a Zoom H5 digital recorder. I recorded the intro and outro on a Heil PR-40 Dynamic Studio Recording Microphone feeding into a Cloudlifter CL-1 and a Mackie Onyx Blackjack 2×2 USB Recording Interface . All processing and editing done in Adobe Audition CC . Photo of Mr. Birkerts by me. It’s on my instagram. 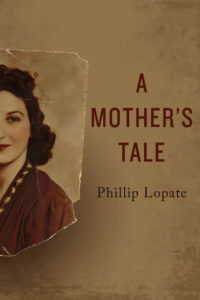 Phillip Lopate is a central figure in the resurgence of the American essay, both through his best-selling anthology, The Art of the Personal Essay , and his collections: Getting Personal , Against Joie de Vivre , Portrait of My Body , Portrait Inside My Head , and To Show and to Tell: The Craft of Literary Nonfiction . He directs the nonfiction MFA program at Columbia University, where he is professor of writing. His new book is A Mother’s Tale . Credits: This episode’s music is Nothing’s Gonna Bring Me Down by David Baerwald, used with permission from the artist. 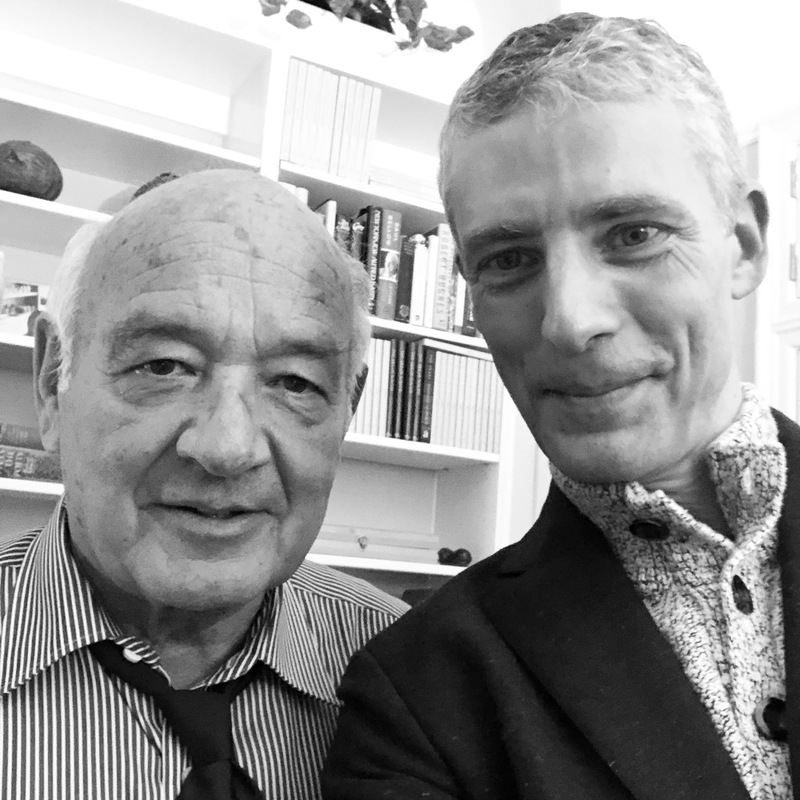 The conversation was recorded at Mr. Lopate’s home on a pair of Blue enCORE 200 Microphones feeding into a Zoom H5 digital recorder. I recorded the intro and outro on a Heil PR-40 Dynamic Studio Recording Microphone feeding into a Cloudlifter CL-1 and a Mackie Onyx Blackjack 2×2 USB Recording Interface . All processing and editing done in Adobe Audition CC . Photo of Mr. Lopate by me. It’s on my instagram. Why did former publisher and book editor Ann Patty start studying Latin at age 58? Find out in our conversation about her book, Living with a Dead Language: My Romance with Latin (Viking). We talk about her deep dive into a dead language, the “Living Latinist” revival, her unceremonious exit from the NY publishing world, the terror of the blank page, the perils of groupthink, how her pursuit of Latin reconciled her to the memory of her mother, and more! Give it a listen! And go buy Living with a Dead Language ! We also talk about where mainstream book publishing has gone wrong, what it was like to be the oldest student in the room by 40 years, how her experience as a publisher and editor helped and hurt her as a first-time author, how Abigail Thomas tricked her into writing a book, the benefits of inflection, her new career goal of Girl Latin Reporter, and more! Give it a listen! And become a patron of this podcast via Patreon or Paypal to get access to bonus conversation with Ann and a big ol’ list of all the books we talked about. Ann Patty worked in New York trade publishing for more than 30 years. She was the founder and publisher of The Poseidon Press and an executive editor at Crown Publishers and Harcourt. Her first discovery as an editor was V. C. Andrews’ Flowers in the Attic . Other highlights of her career include the US hardcover debuts of: George R. R. Martin, Graham Swift, Mary Gaitskill, Patrick McGrath, Clive Barker, Frank Zappa, Michael Moore, Siri Hustvedt, and Kristin Hannah. She was the editor of Steven Millhauser’s Pulitzer Prize-winning Martin Dressler , and Yann Martel’s Booker Prize-winning Life of Pi . In 2008 she became a freelance editor and began studying Latin, which she continues to do. She teaches Latin to teenagers at her local library in Red Hook, New York. 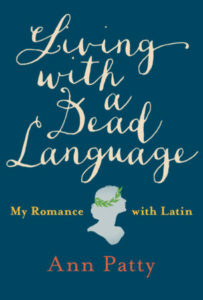 Living with a Dead Language: My Romance with Latin is her first memoir. Credits: This episode’s music is Nothing’s Gonna Bring Me Down by David Baerwald, used with permission of the artist. The conversation was recorded at Ann’s home on a pair of Blue enCORE 200 Microphones feeding into a Zoom H5 digital recorder. I recorded the intro and outro on a Blue enCORE 200 Microphone feeding into a Mackie Onyx Blackjack 2×2 USB Recording Interface . Processing was done in Audacity and Logic Pro. Photo of Ann by me.